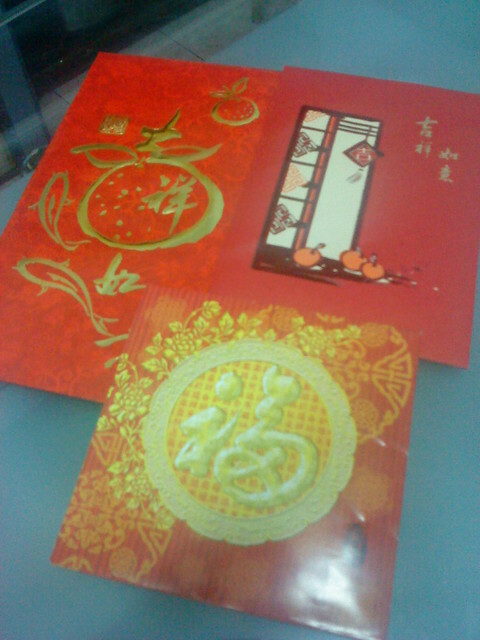 Chinese new year seemed to come early this year. As usual, plenty of last minute house chores to be done but it's much better this year compared to the previous years. 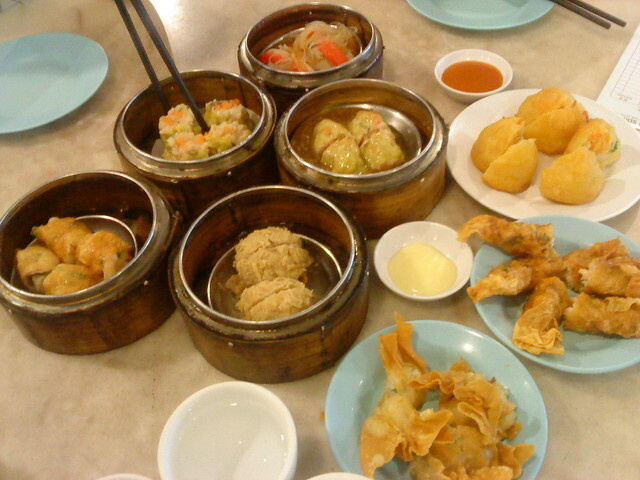 Almost everyone who celebrates chinese new year had their reunion lunch/dinner yesterday. Facebook news feed was so full of reunion food pictures. 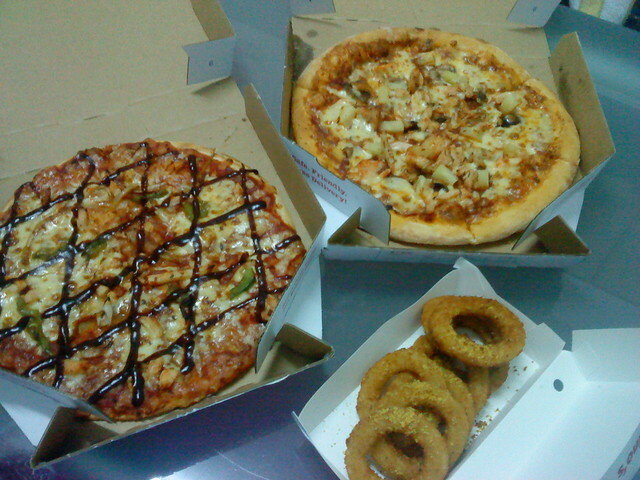 My sister and I used to cook a few dishes for reunion dinner for a few years, then one year we had steamboat then it got even simpler to just domino's pizza last year. Since there are only 3 of us at home, we had the same again this year. 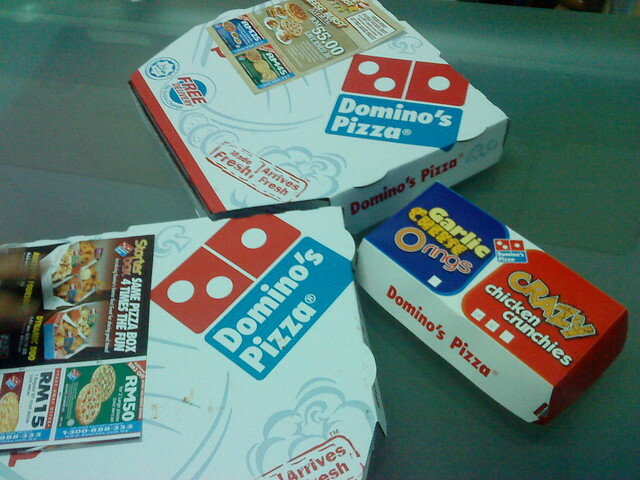 2 regular pizzas and garlic cheese onion rings. 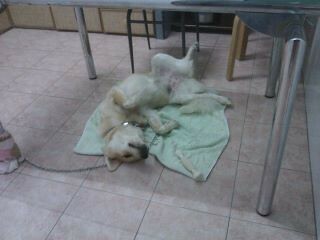 Brother caught Elsa sleeping in the "useless-dog-post"
Deep fried crab stick !!! i love it in its form and i love it this way too. It's way too addictive than I thought it would be. 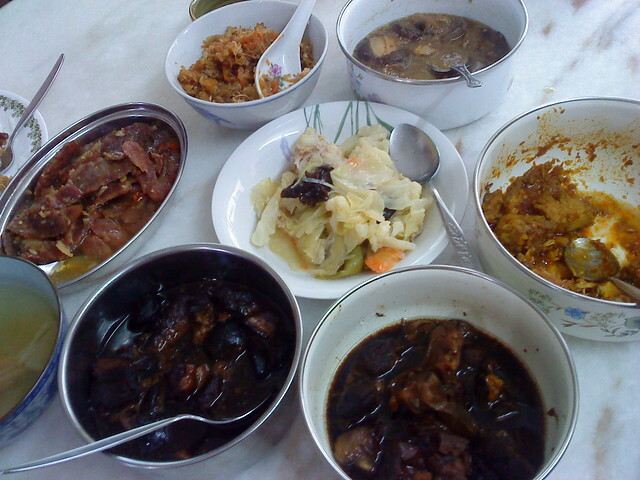 As usual, had lunch at my grandaunt and granduncle's place. Rendang, chinese sausage, stewed pork with mushroom, cauliflower and fried turnip. 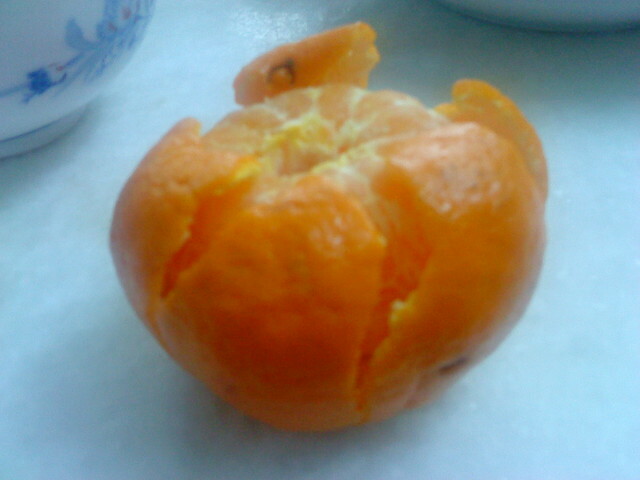 My first mandarin orange this year, I think. I'm not very fond of eating mandarin oranges actually but I was served. 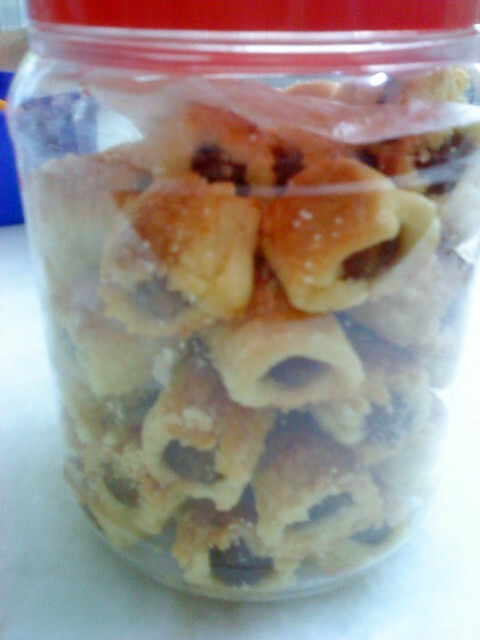 This is like a must have in my grandaunt's place. Angpows collected so far. Not many, I know but satisfied =) We seem to be going to less and less houses every year but it's ok. I'm too lazy to go anywhere anyway. Looking forward to my actual family reunion on wednesday. That's all for now. Till then! 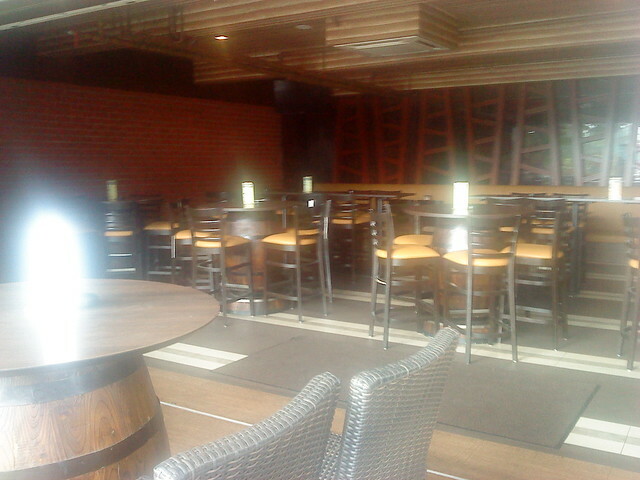 My friends and I decided to have lunch in San Francisco Steakhouse on Wednesday after a game of badminton. 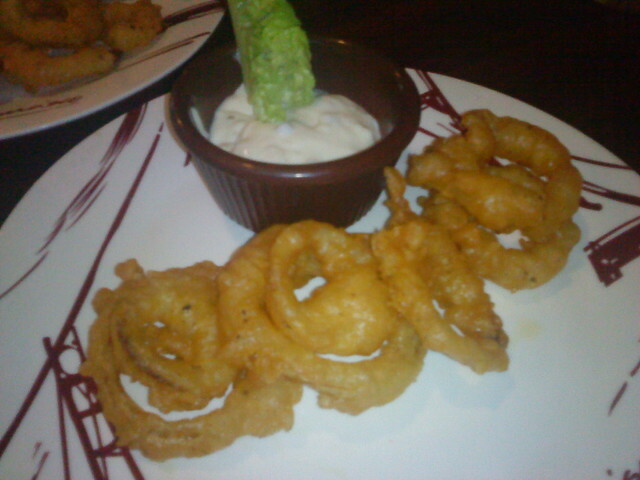 Yeah, so our effort of trying to lose some fats was kinda burnt off after the meal. The last time which was my first time eating in San Francisco was in Midvalley about a decade ago when dad's friend spent us. It wasn't a good experience though. I remember eating the big portion of steak meal till my siblings and I felt like throwing out!! How blessed we are to have food overload in a classy restaurant like that. We've never eaten there since then. 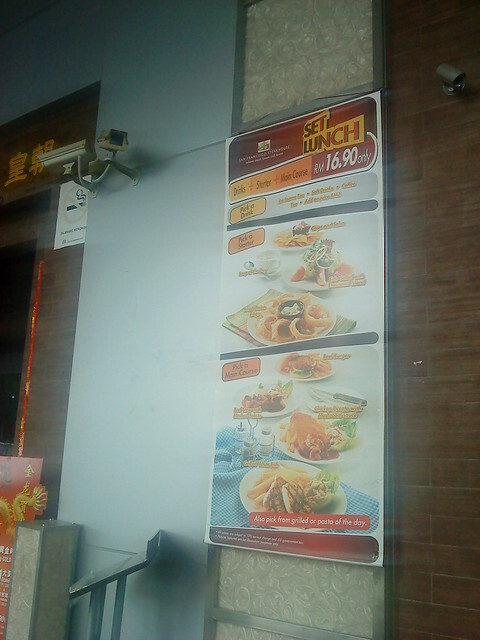 This time, Yan Lin wanted to try the set lunch there so we went for it. 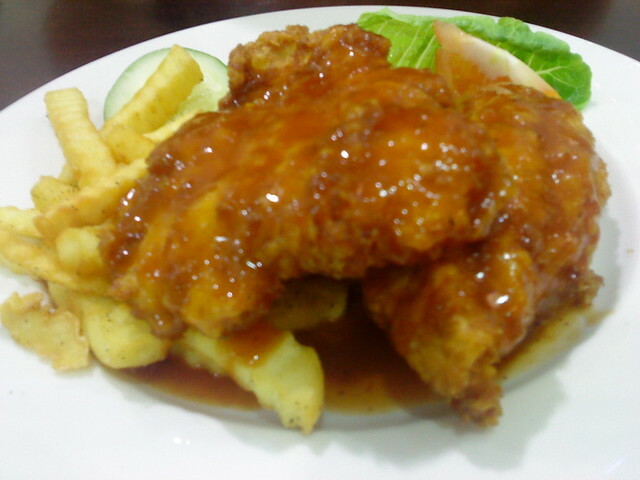 The business there ain't that good when we went..
RM16.90 for a drink, starter and main course. 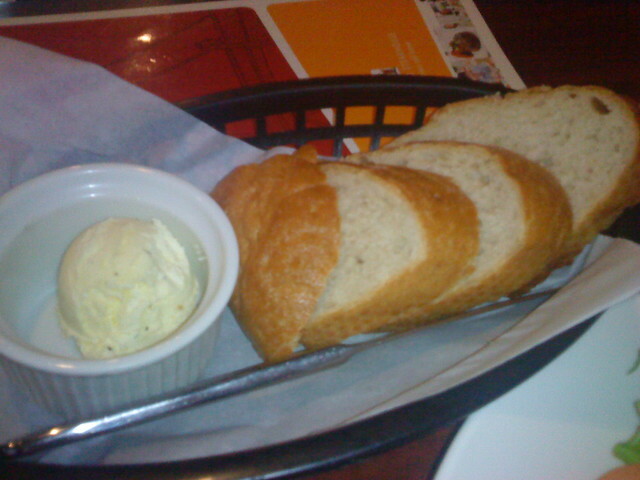 4 types of starter to choose from and 4 types of main course as well. 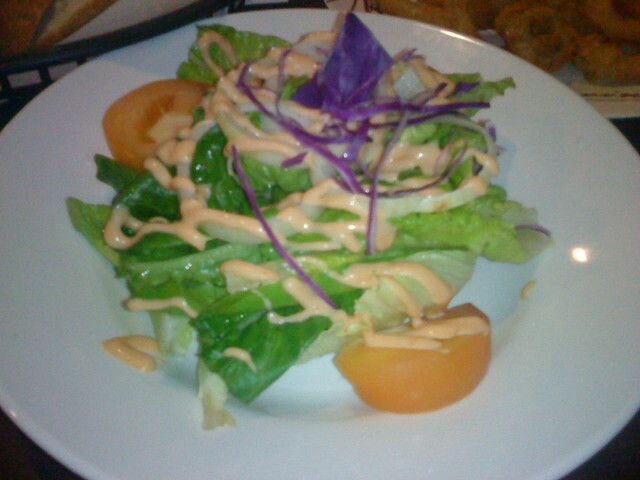 Salad with thousand island sauce. 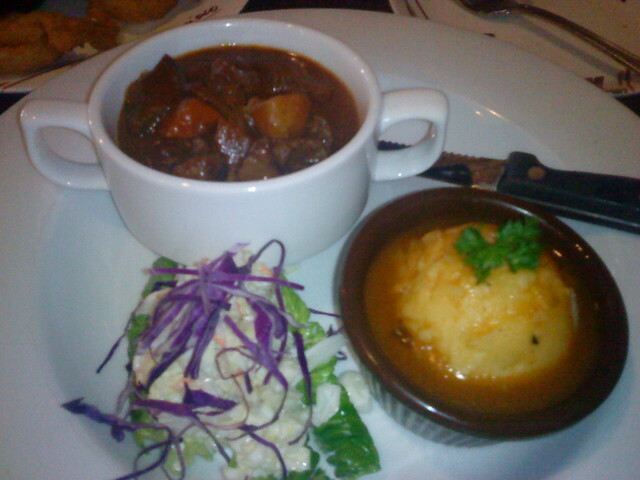 Joyce's beef stew with mashed potato. Grilled white fish. 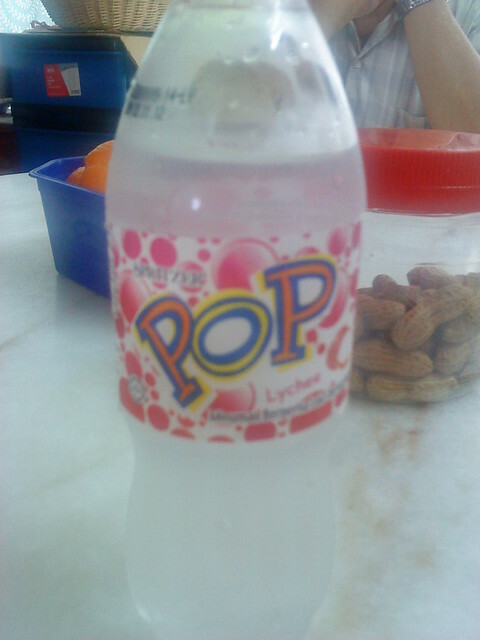 I had this.. The food was just okay overall. 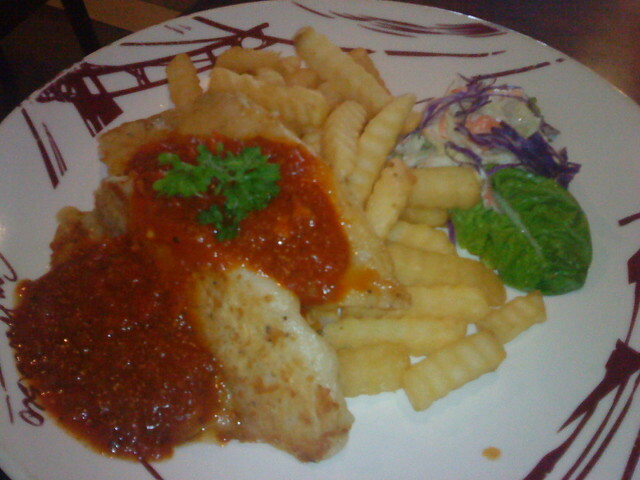 Fish was kinda salty and the sauce didn't go so well with it but the texture of the fish was satisfying. 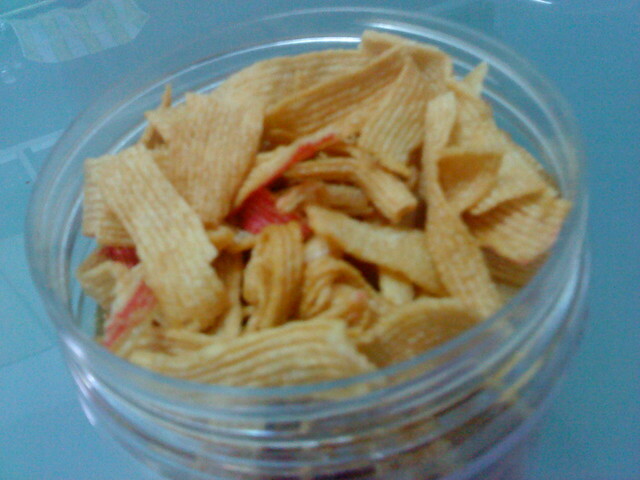 Portion was quite worth the money, I think. I was expecting smaller portions. Anyway, I don't think I would go back for the same food again. Oh yeah, it was super filling too!!! I couldn't finish the fries myself. We got our parking fee waived off for eating there too. Had a good time eating and catching up with friends. 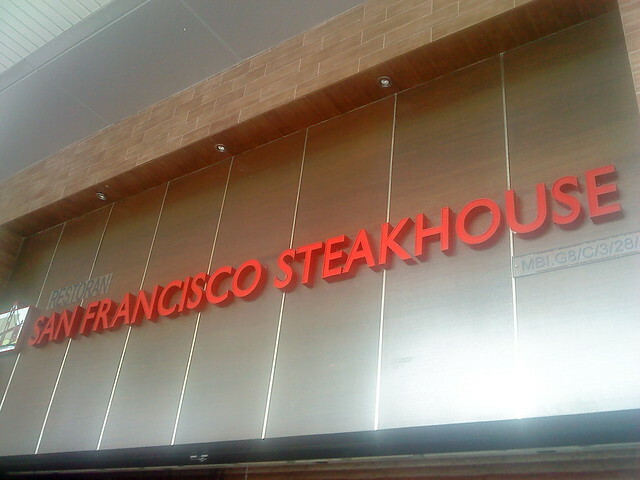 Guess that's all about my second time eating in San Francisco Steakhouse. First class of the year has started today. During the class today, someone mentioned about living in moderation, having just enough money to enjoy life - not rich, not poor. No doubt, we all need money. I disagreed when he said poor people can never have true happiness. No matter how poor a person is, he can be happy and joyful if he has Jesus in his life. Likewise, one can have all the riches in the world yet never find joy if he does not know Jesus. 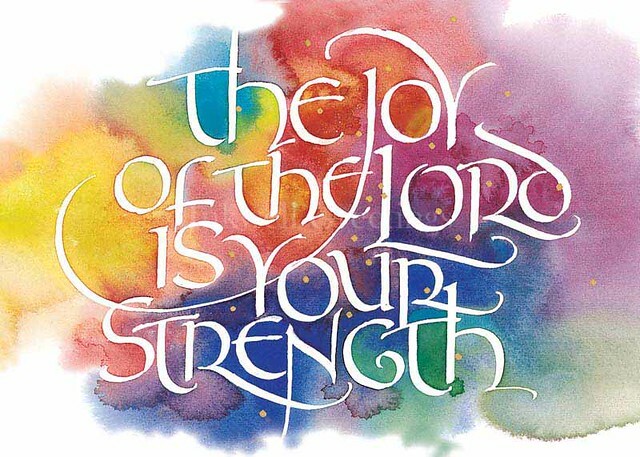 Our source of joy is found in Christ alone, not wealth. Happiness depends on happenings thus it will not last but true joy comes from knowing Jesus and accepting Him as our personal Lord and Saviour, for in Him, we have eternal hope. The world will always let us down but Jesus will never disappoint us. Wealth has no role in bringing joy that lasts. It's the first of January 2012. The most talked about year when it comes to the "end of the world" topic. That doesn't concern me much cause I think we shouldn't hold on to something which we aren't even sure is true. As mentioned in my previous post, so much has happened in the year 2011. 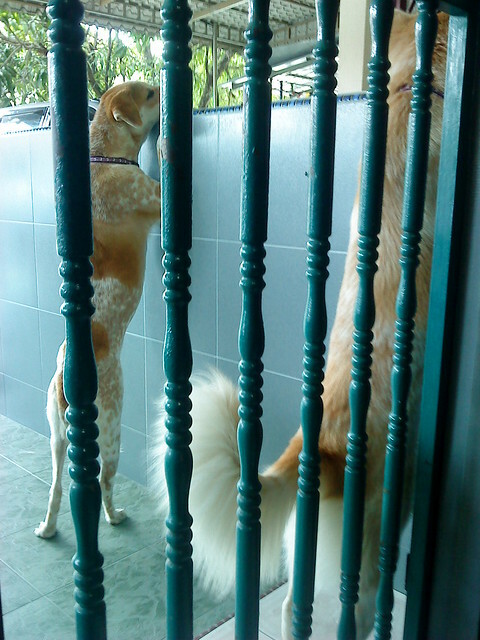 - lost my dear doggie during chinese new year. - failed my exams for the first time. - had a massive surprised birthday celebration. - passed 3 papers and I was so happy that I couldn't sleep the night I checked my results. - had a short awesome trip to KL for Caryn's birthday celebration. It was a good getaway and get together. - towels got saved from getting wet cause God sent the rain only after i got home. Very trivial I know but it totally made my day. - went for youth camp the week before exams. I've never been to any camps during my examination period. Conducted games for youth camp for the first time and it's really not easy but I've no regrets because through this, God showed me again that He's in sovereign control of everything. The weather was great and He sent me 2 helpers to help out with the games just when I was short of 2 more helpers. - travelled to Penang alone for the first time. I've never travelled to anywhere alone. - slept during my precious break more than I have ever before during any other semester breaks. I don't know why I've been sleeping so much recently. I think I need to exercise more regularly. That's all I can recall of among the many incidents happened in 2011. Didn't seem so bad after all. It's been a tough year but God has faithfully brought me through it though I've not been an obedient child. I've said it once and I'll say it again that in all circumstances, I could see God's hands working in my life and it's really amazing. I'll just wait to see the whole big picture. I'm too lazy to upload pictures captured throughout the year so I'll just post some recent pictures captured during the week. 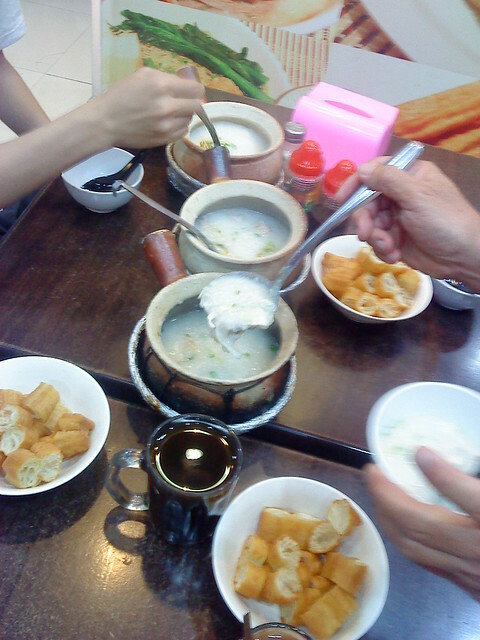 Yummy clay pot porridge with my favourite yau char guai in Sunway Pyramid. 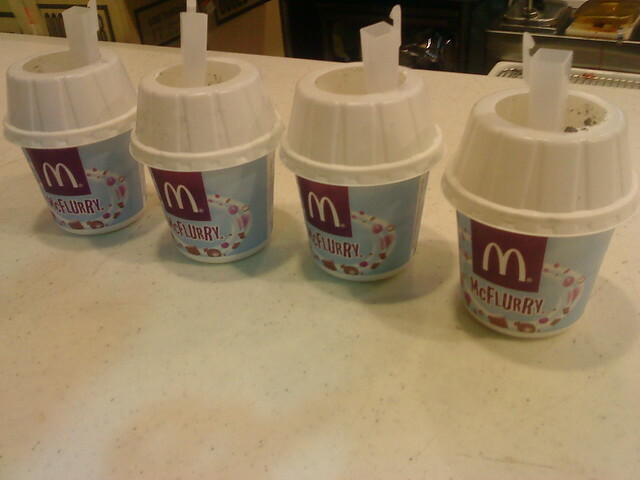 Mom spent us McFlurry after dinner in Jusco. 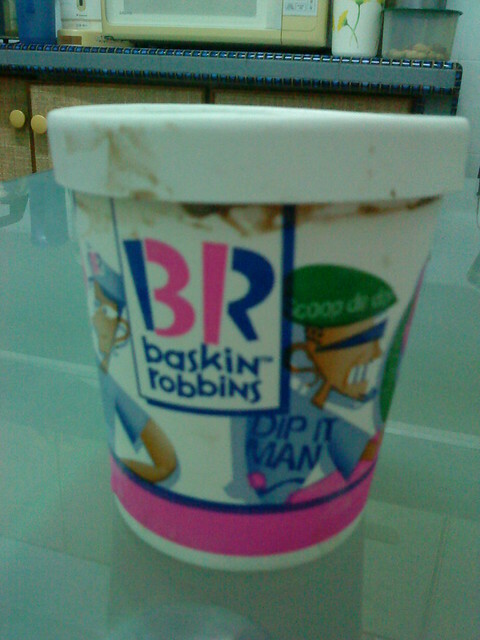 It's my second time having the whole cup to myself. Oh yeah, I forgot to mention, I went to Ipoh Parade twice in the week after exams. 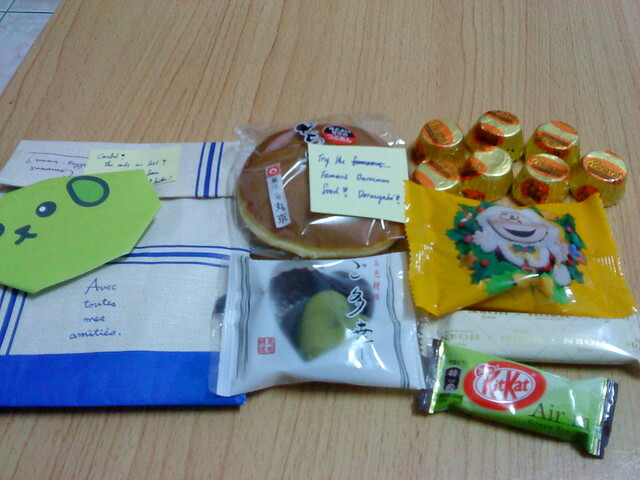 3 times on 3 consecutive days to Jusco last week. Did a lot of Christmas shopping this time. Mom found this while spring cleaning the house. 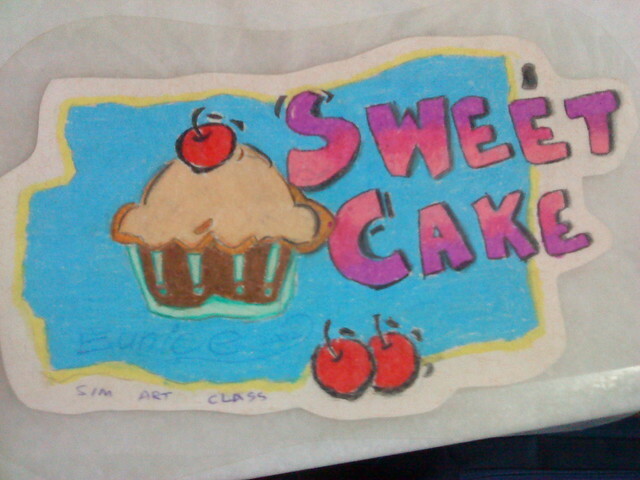 It was my artwork in art class about a decade ago. Guided of course and i didn't draw that. Just coloured. 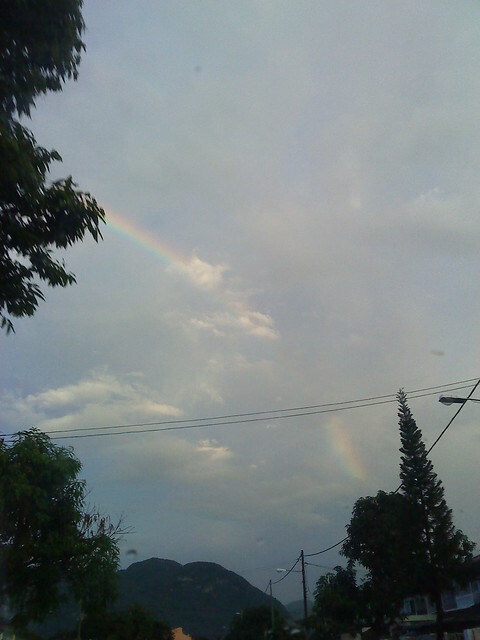 Saw this rainbow on the way home yesterday evening. It's beautiful cause it's the sign of the covenant God made with Noah. 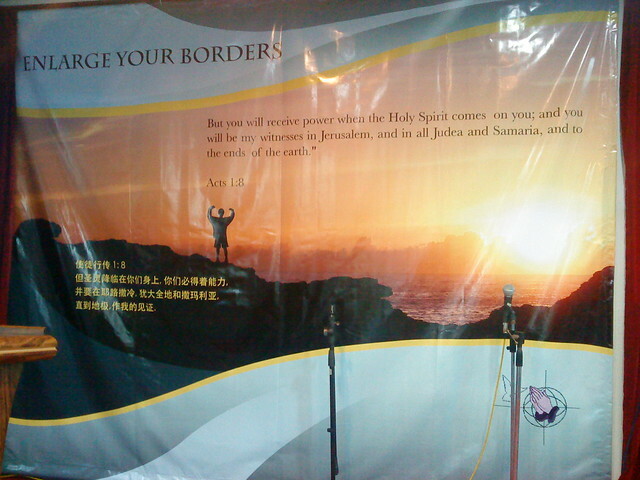 New banner with new theme in church for this year. 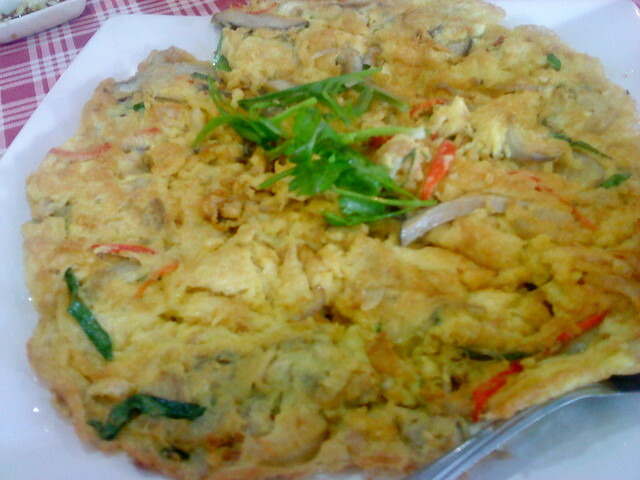 Omelette served during new year lunch sponsored by my church today in a restaurant nearby. Everyone was too hungry so I didn't capture the rest of the dishes. I'm sad that holiday is over but life goes on. New year resolutions? I have a few but not gonna post it here and some are renewed resolutions cause i failed to achieve them. Incase you didn't realise, I've changed my blog title since it's new year and I don't like the old title anymore. 2011 has been a happening year with many ups and downs and I believe there are more to come this year. Guess that's all for now for my new year post with random pictures. Expect great things from God, attempt great things for Him! !